Rockwall Metal Roofing understands that you are on a budget! Not only do we have highly competitive prices, but we genuinely want to keep your cost under your budget! 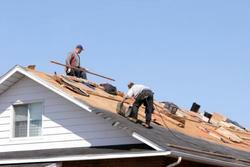 In order to best serve you, we offer NO obligation FREE Estimates! We want you to get the best deal possible, even if you don't choose us! We come out at your earliest convenience and provide you with an estimate of the cost and time it will take to complete what your home requires! No worries if you choose not to go with us! All of our Estimates are Obligation FREE! Like we said, we want you to get the best bang for your buck! We are eagerly waiting to serve you!